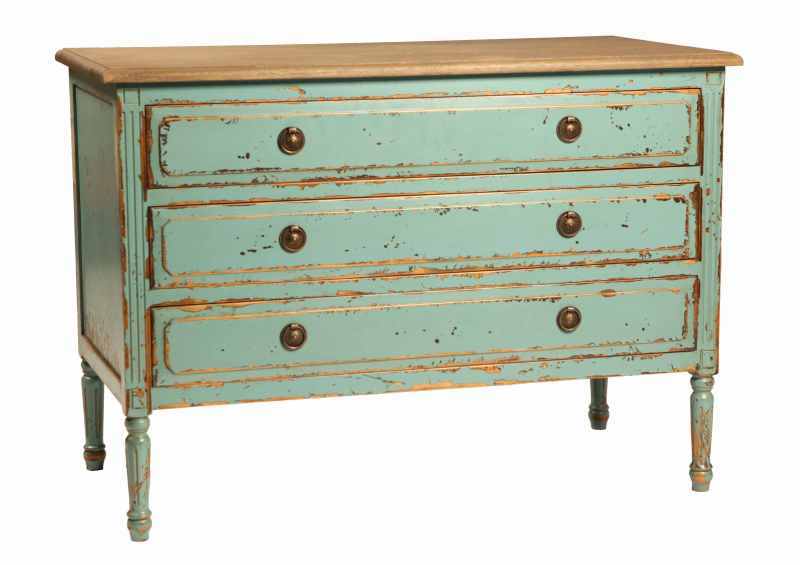 Newly arrived in our store is this classically French inspired dresser with fresh blue washed painted finish. It measures 47″W x 24″D x 33″H and is available for $830. Apartment Therapy featured a similar piece used in a entryway, but it would make a lovely addition to any space.